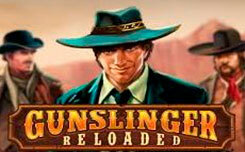 The slot reactoonz – this is another release from the company Play’n Go. 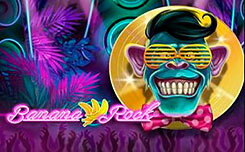 This time, one of the most popular games, the Energoonz slot, has undergone changes. Those who have ever played in energy, immediately notice the pleasant innovations. 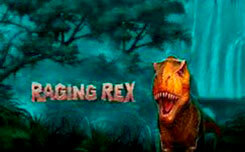 The first thing you pay attention to is a new design, it’s got more graphic graphics and new animation. The second surprise for the players is the huge amount of bonus features that will pleasantly surprise even the most fastidious players. 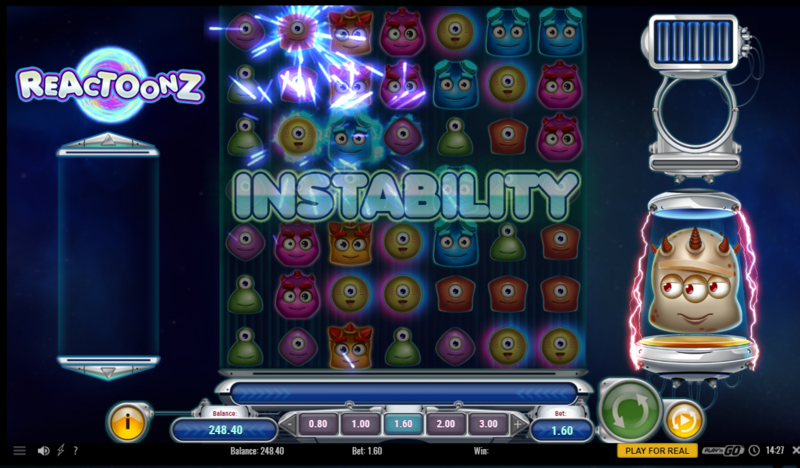 The structure of the game screen was also updated, and received a new 7×7 character format, which will allow players to collect winning combinations more often. 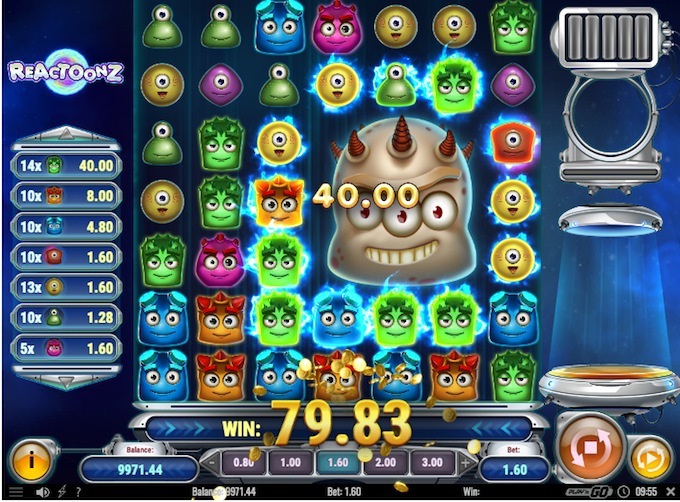 The slot design also received new symbols, on the game drums you will see one-eyed cartoon monsters, which are symbols of low value. The symbols of the upper meaning are multicolored monsters, which can bring from 80 to 12,000 coins. 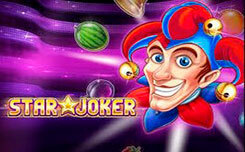 Wild symbol (wild) is made in the form of an electric glowing sphere, it can replace any symbol of the updated slot. 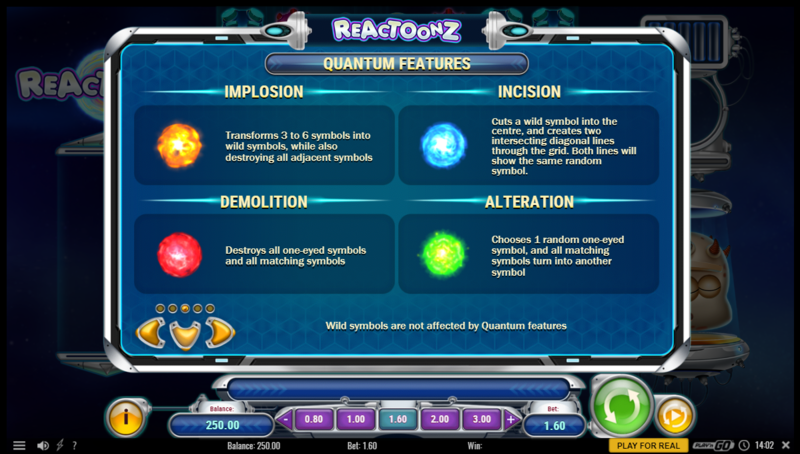 Bonus function of the reactoonz slot. 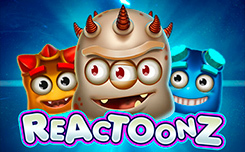 Playing in the Reactoonz slot, pay attention to the constantly active function Win re-spin, it is that each winning combination gives one re-rotation, so it will continue until the combinations mismatch. Implosion (yellow ball) – turns from 3 to 6 characters in Wild symbols, and all adjacent characters are removed. Alteration (green ball) – during this function, a random one-eyed character undergoes a change, and all the same symbols will take the form of an altered monster. Demolition (red ball) – destroys all the characters of one-eyed monsters, only more expensive symbols remain. Incision (blue ball) – cuts a wild symbol in the center of the game screen, and activates two intersecting horizontal lines, with both lines having the same symbols. When the battery quantum (5 cells) is fully charged, the Gargantoon function is activated. The first step of the function will release a huge monster 3×3 characters in size, the symbol will be transferred to the playing field, and turn into a wild symbol. The second step will add two fields of 2×2 characters. The third step will add nine additional wild symbols. Also, during the game, the instability function may be launched. It starts in a random order, where several additional wild symbols can appear on the game screen. To obtain a winning combination, you must collect at least 5 identical symbols that will intersect with each other at a right angle.